OP UNIONE PASTORI Soc. Coop. 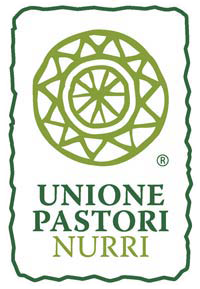 Agr., a company headquartered in Zona Industriale Taccu, 57, fiscal code and VAT number 00050080910 (the “Seller”), carries out production and distribution of products branded Unione Pastori Nurri (the “Products”). 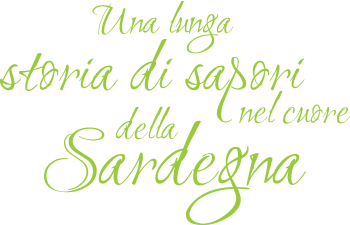 The Seller is the owner of the website www.unionepastorinurri.it (the “Site”) by which conducts its e-commerce activities are available exclusively to customers, as regulated by the relevant General Conditions of Sale. 1 Seller informs that with him is the treatment of non-sensitive personal data (“Personal Data”), collected at the time of registration or navigation on the site or on another occasion of electronic communication with the seller, in full compliance with the provided for by Leg. June 30, 2003, n. 196. The person who owns the processing of Personal Data is that referred to in Article 1.1. 2 The Personal Data will be processed by the Seller only after the acquisition of the distinct and specific consent of the person concerned, with the exception of the assumptions referred to in Article 24 Data Protection Code. The processing of personal data shall follow principles of necessity, fairness, legality, proportionality and transparency. a) the data is collected for purposes related to the contract of sale of products through the Site (including, without limitation, the answer to questions about the products and their use, the use of the site even after the registration, subscription to receiving commercial messages by the Seller, the credit assessment of the user), as well as to comply with any and all legal and fiscal obligations to it connected. f) for purposes referred to in letters b) and c) it is necessary to separate the informed consent, the specific and optional, without which the processing of personal data for these purposes will be achieved. 1 The processing of personal data is through the use of information tools, telematic and electronic, servers – located abroad – and software, as well as through paper documents. 2 The Seller informs that the timing of the processing of personal data shall respect the principle of need, with reference to the purposes of the service by the Seller and the related obligations. 3 Should the Personal Data relate details of the purchase and are treated for profiling or sending promotional direct, such information will be deleted after respectively 12 and 24 months from the harvest. In the event of processing of personal data for the purpose of the transmission of promotional communications direct, if you object in the manner prescribed by law the contact data will be deleted immediately. 4 While browsing the Web, the computer systems and software used to operate the site acquire, during their normal operation, some Personal Data the transmission of which is implicit in the communication protocols of the Internet. This information is not collected to be associated with identified, but by their very nature could, through processing and association with data held by third parties, to identify users. This category of data includes IP addresses or domain names of computers used by users who connect to the site, the URI (Uniform Resource Identifier) of requested resources, time of request, the method used to submit the request to the server, the file size obtained in response, the numerical code indicating the status of response from the server (by way of example, “successful”, “error” and the like) and other parameters regarding the operating system and computer environment. These data are used only to obtain anonymous statistics on the use of the Site and to check its correct functioning. The data could be used to ascertain responsibility in case of computer crimes against the site. 7 The Personal Data are acquired through their inclusion by the user on the site and may be communicated by the Seller to persons specifically appointed data processors for the purposes indicated in Article 2.3 and the companies that manage the payment systems (paper Credit and PayPal) through which payments are made online for the products purchased through the Site. 8 The Seller declares that the Personal Information you provide will be supplied to any third parties who carry out market surveys or perform administrative, financial, commercial, logistics on behalf of the Seller. The list of additional controllers is available from the seller can be requested by email at info@unionepastorinurri.com. 9 In the event that for the purposes of sending promotional or commercial profiling Personal Data should also be transferred to other third parties, will be in demand to a specific separate agreement for the sale and the person concerned will be informed at the time the first communication of Personal Information in accordance with Article 13, paragraph 4 of the Privacy Code. 10 In case of total cancellation of the Order, the Seller will contact the customer to inform him of the cancellation by proposing to make a new order other products. If not made a new order, the seller will refund the amounts paid. 11 The Personal Data may be transferred abroad, in countries of the European Union or in other considered safe by the European Commission, or even in non-EU countries not included in the list of safe countries: in this last case, the Vendor will enter into advance, with individuals who would treat the Personal Data outside the European Union territory, the specific arrangements for the protection of privacy of the person, containing a warranty clause given by the European Commission. c) object, in whole or in part, for legitimate reasons the processing of personal data concerning him, even to the scope of the collection and treatment of Personal Data for the purpose of sending advertising materials or direct sales or for carrying out market research or commercial communication. 2 The Vendor remember that at all times you can object to any treatment is the Personal Data for the dispatch of promotional communications, both possible commercial profiling of Personal Data.